Looking for a Rental? Start Here! The Philadelphia Metro Area is not only a great place to buy a home, but it's also a great place to rent a home! Our professional agents will work with you every step of the way to find that perfect place to rent. While our website offers our customers the ability to search for homes for sale, it does not offer the ability to search for properties for rent. But not to worry, just click here and fill out the form in its entirety, and one of our professional agents will be in touch with you. For faster service, give us a call at 484-872-8336. Remember, it doesn't cost you a thing to have a professional real estate agent locate a property to rent for you, and our commission is always paid by the owner of the rental property. 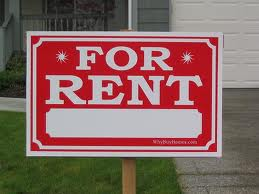 Fill out our rental application today to get started looking for that perfect place to rent! How would you say your credit is? Most landlords are looking for tenants with 600+ credit scores, so we will refer you to a trusted loan officer who will contact you directly to run your credit to verify your credit score. Please note that the loan officer will need your social security number and date of birth to do this. Are you currently employed, or do you have other consistent/predictable income? Being employed or making consistent/predictable income isn't always requirement to rent, but if you don't have either, then you have to be willing to show the landlord your bank account proving that you have enough to afford the monthly rent for the duration of the lease term. How many people would be living in the property? Townships have fire safety codes that limit the number of people that can live in a property based on the number of bedrooms that property has. We just want to make sure we are matching you up with the correct properties based on your needs. Do you have any pets? Some landlords allow pets, others don't. It's best to know your pet situation up front so we can focus our energies on properties that fit you and your pets needs. What is your current living situation? How soon do you need to be in your new rental? Rental properties tend to go very fast, so if you're not ready to move for a few months, the chances are good that the inventory will be totally different when you are ready to move. We are happy to email you rental properties as they become available so you can get an idea of what's out there, but we will only have one of our professional agents show rental properties to clients who are ready to sign a lease and move within the next 30 days. What areas are you considering living in? What's the minimum number of bedrooms and bathrooms you require? What's the maximum amount you are comfortable spending monthly in rent? Once we've determined that you are pre-qualified based on the above questions and answers, we will send you a formal rental application to complete along with a list of properties that may fit your needs. We ask that you go through this list and select all of the properties that you are interested in seeing, and we will work on scheduling the showings at a time that's convenient for you. Follow the process outlined here and you'll be well on your way to moving into your next place! Real estate is a complex business, with many legal documents required to complete the process from start to finish. In an effort to be totally transparent, we have provided blank copies of those forms in the links below for our clients to review before, during, and after entering into a business relationship with us. Listing courtesy of William Wood Company. Listing courtesy of Brightsky Realty LLC. Great location in downtown West Chester!Close to shopping,restaurants and entertainment.No pets!Heat and hot water included.